Key difference: DVD-R and DVD+R are types of DVD recordable formats. The main difference between the two formats is the underlying technology that is employed in each one to determine the location of the laser beam on the disc. 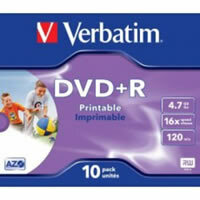 DVD-R and DVD+R are types of DVD recordable formats. 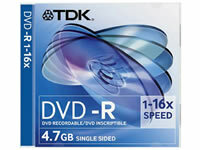 DVD-R is pronounced as "DVD dash R", and DVD+R is pronounced as "DVD plus R". For all uses and purposes, they are essentially the same, with just a few minor differences. The main difference between the two is the manner in which the data is stored on or written to the disc. The DVD-R format was developed by Pioneer in 1997. It is now supported by the DVD Forum, which includes Pioneer, Toshiba, Hitachi, and Panasonic. The DVD+R format was introduced by coalition of corporations lead by Sony and Philips in 2002. The DVD+R format is supported by Sony, Philips, Hewlett-Packard, Ricoh, and Yamaha. Hence, the DVD+R format is newer than the DVD-R format and is somewhat more expensive than the latter. However, both are quite similar. They have the same storage capacity of 4.7 GB. They are available in a dual layer version which has an 8.5 GB storage facility. DVDs are generally used for non-volatile data storage or video applications. Both are a write-once format, which means that once the data is burned onto the DVD, they frozen with that information. The information cannot be changed or removed. As opposed to rewritable DVDs, which include DVD-RW, DVD+RW, and DVD-RAM, that can be recorded and erased multiple times. The main difference between the two formats is the underlying technology that is employed in each one to determine the location of the laser beam on the disc. The DVD-R uses the LPP system for tracking and speed control. LPP stands for ‘Land Pre Pit’. This entails that the DVD-R discs uses tiny marks along the grooves in the discs, called land prepits, to determine the laser position. The DVD+R format uses an improved ADIP system. ADIP stands for ‘Address In Pregroove’ which entails that the DVD measure the "wobble frequency" as the laser moves toward the outside of the disc. This makes the DVD+R format more accurate at higher speeds. Furthermore, the DVD+R format has a more robust error management system than DVD-R. This means that the DVD+R allows for more accurate writing of the media to the DVD. This is independent of the quality of the media. Also, DVD+R has more accurate session linking methods which results in fewer damaged discs than DVD-R.
Due to the different forms of reading the disk, the different disk formats are not compatible. This means that the DVD-R cannot be read or written to by a DVD+R player, and vice versa. However, hybrid drives are now commonly available. Hybrid drives are labeled as “DVD±R”, as they can read both formats. Hence the disks are now both supported by most DVD-ROM drives and DVD burners. This is also true of DVD players.